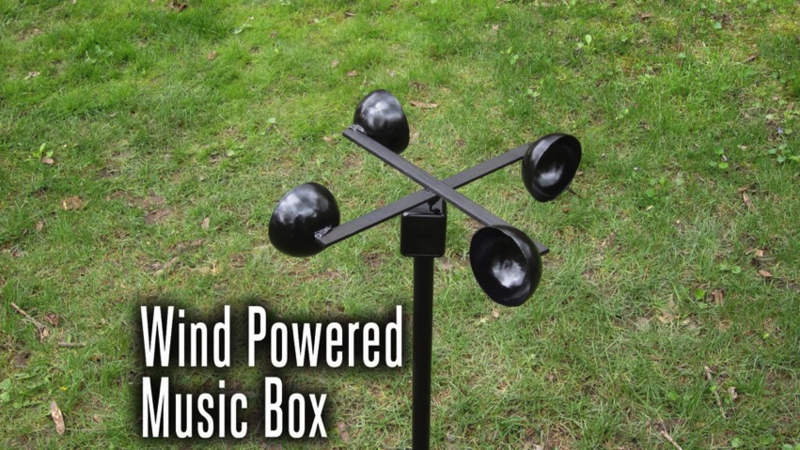 How to Make a Wind Powered Music Box #MusicMonday « Adafruit Industries – Makers, hackers, artists, designers and engineers! Wind chimes are a great way to improve the atmosphere of a garden. But I wanted to see if I could find a way to make the wind play a melody instead of just random notes. So I designed a simple wind powered music box. Now whenever the wind blows, it plays a whole song.